For more than one hundred and fifty years, the Grand National has had a place in the British national consciousness. 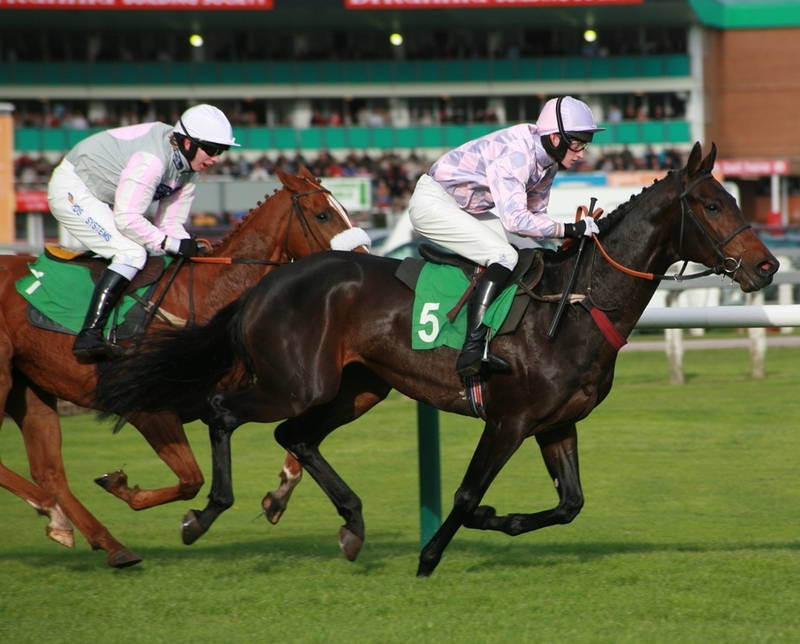 This event, the most iconic horse race in the world, takes place at Aintree Racecourse in the city of Liverpool and sees horses race over a course of four and a half miles. The Grand National is a steeplechase event, famous for its daunting jumps. There are thirty fences in total, and the most notorious is Becher’s Brook, with a 6 and a half foot drop. In 2011, a jockey died attempting this obstacle. Since then, the fence has been modified for the safety of the riders. Although famous for its number of falls, the race has been adapted and made significantly more secure in recent times. 2017’s Grand National marked the fifth year in a row without a single equine fatality. A big race like this naturally means big money. The Grand National boasts the largest prize fund of any race in Europe. Today it sits at over £1 million – plus, of course, the prestige of winning this legendary steeplechase. Of course, a huge amount of money is also spent by punters betting on the race. Last year, almost £300 million was spent on Grand National bets – and that number is expected to rise this year. With a field of 21 horses, it might be hard to decide where to put your money, so keep your fingers crossed! The favourite at the moment is Total Recall, but famously, the results of the Grand National are extraordinarily unpredictable. The most notoriously surprising race in history took place in 1993 when 30 of the 39 horses kept racing despite a false start. The result was deemed void, and the race was not re-run, costing bookies around £75 million. The first female jockey to complete the course was Charlotte Brew in 1977. However, no woman has ever won the race. This may change in 2018, and there’s quite a buzz around jockey Bryony Frost, riding Milansbar and hoping to make history. Frost is the daughter of a Grand National-winning jockey, and could well add to the family legacy. Across the UK, people will tune in to watch the Grand National at home. This year, it is being screened on ITV and begins at 5:15 pm on Saturday 14th April. However, plenty will also make the trip to Aintree Racecourse to enjoy the event live. While the main race takes place on Saturday, some races get underway on Thursday. Friday the 13th won’t be unlucky this year, as it’s Ladies’ Day. Races will take place, but the crowd will be buzzing with more of a party atmosphere, and prizes will be on offer for the best outfit. A trip to the Grand National is a once in a lifetime opportunity to take in an iconic British event live. It’s a stylish, exciting event where people still take the time to get dressed up – especially on Ladies’ Day – but if you’re visiting Aintree, expect to see a well-heeled crowd on any of the three days. For a truly luxurious experience, you can set out from London in a chauffeured luxury vehicle. The chauffeured tour service will transport you from the capital straight to Aintree racecourse in a Mercedes S Class and will cost just £399. Hiring a chauffeur for events like the Grand National is one way of ensuring that your day at the races is even more unforgettable! Whether you’re lucky enough to go to the race in person, or you’re watching it at home, don’t miss out on this legendary piece of British culture.